Major famines have, of course, occurred before, but never in memory on such a scale in four places simultaneously. According to O’Brien, 7.3 million people are at risk in Yemen, 5.1 million in the Lake Chad area of northeastern Nigeria, 5 million in South Sudan, and 2.9 million in Somalia. In each of these countries, some lethal combination of war, persistent drought, and political instability is causing drastic cuts in essential food and water supplies. Of those 20 million people at risk of death, an estimated 1.4 million are young children. All in all, the cost of such an intervention is not great: an estimated $4.4 billion to implement that U.N. action plan and save most of those 20 million lives. The international response? Essentially, a giant shrug of indifference. To have time to deliver sufficient supplies, U.N. officials indicated that the money would need to be in pocket by the end of March. It’s now April and international donors have given only a paltry $423 million — less than a tenth of what’s needed. While, for instance, President Donald Trump sought Congressional approval for a $54 billion increase in U.S. military spending (bringing total defense expenditures in the coming year to $603 billion) and launched $89 million worth of Tomahawk missiles against a single Syrian air base, the U.S. has offered precious little to allay the coming disaster in three countries in which it has taken military actions in recent years. As if to add insult to injury, on February 15th Trump told Nigerian President Muhammadu Buhari that he was inclined to sell his country 12 Super-Tucano light-strike aircraft, potentially depleting Nigeria of $600 million it desperately needs for famine relief. Moreover, just as those U.N. officials were pleading fruitlessly for increased humanitarian funding and an end to the fierce and complex set of conflicts in South Sudan and Yemen (so that they could facilitate the safe delivery of emergency food supplies to those countries), the Trump administration was announcing plans to reduce American contributions to the United Nations by 40%. It was also preparing to send additional weaponry to Saudi Arabia, the country most responsible for devastating air strikes on Yemen’s food and water infrastructure. This goes beyond indifference. This is complicity in mass extermination. Like many people around the world, President Trump was horrified by images of young children suffocating from the nerve gas used by Syrian government forces in an April 4th raid on the rebel-held village of Khan Sheikhoun. “That attack on children yesterday had a big impact on me — big impact,” he told reporters. “That was a horrible, horrible thing. And I’ve been watching it and seeing it, and it doesn’t get any worse than that.” In reaction to those images, he ordered a barrage of cruise missile strikes on a Syrian air base the following day. But Trump does not seem to have seen — or has ignored — equally heart-rending images of young children dying from the spreading famines in Africa and Yemen. Those children evidently don’t merit White House sympathy. Who knows why not just Donald Trump but the world is proving so indifferent to the famines of 2017? It could simply be donor fatigue or a media focused on the daily psychodrama that is now Washington, or growing fears about the unprecedented global refugee crisis and, of course, terrorism. It’s a question worth a piece in itself, but I want to explore another one entirely. Here’s the question I think we all should be asking: Is this what a world battered by climate change will be like — one in which tens of millions, even hundreds of millions of people perish from disease, starvation, and heat prostration while the rest of us, living in less exposed areas, essentially do nothing to prevent their annihilation? First, though, let’s consider whether the famines of 2017 are even a valid indicator of what a climate-changed planet might look like. After all, severe famines accompanied by widespread starvation have occurred throughout human history. In addition, the brutal armed conflicts now underway in Nigeria, Somalia, South Sudan, and Yemen are at least in part responsible for the spreading famines. In all four countries, there are forces — Boko Haram in Nigeria, al-Shabaab in Somalia, assorted militias and the government in South Sudan, and Saudi-backed forces in Yemen — interfering with the delivery of aid supplies. Nevertheless, there can be no doubt that pervasive water scarcity and prolonged drought (expected consequences of global warming) are contributing significantly to the disastrous conditions in most of them. The likelihood that droughts this severe would be occurring simultaneously in the absence of climate change is vanishingly small. In fact, scientists generally agree that global warming will ensure diminished rainfall and ever more frequent droughts over much of Africa and the Middle East. This, in turn, will heighten conflicts of every sort and endanger basic survival in a myriad of ways. In their most recent 2014 assessment of global trends, the scientists of the prestigious Intergovernmental Panel on Climate Change (IPCC) concluded that “agriculture in Africa will face significant challenges in adapting to climate changes projected to occur by mid-century, as negative effects of high temperatures become increasingly prominent.” Even in 2014, as that report suggested, climate change was already contributing to water scarcity and persistent drought conditions in large parts of Africa and the Middle East. Scientific studies had, for instance, revealed an “overall expansion of desert and contraction of vegetated areas” on that continent. With arable land in retreat and water supplies falling, crop yields were already in decline in many areas, while malnutrition rates were rising — precisely the conditions witnessed in more extreme forms in the famine-affected areas today. It’s seldom possible to attribute any specific weather-induced event, including droughts or storms, to global warming with absolute certainty. Such things happen with or without climate change. Nonetheless, scientists are becoming even more confident that severe storms and droughts (especially when occurring in tandem or in several parts of the world at once) are best explained as climate-change related. If, for instance, a type of storm that might normally occur only once every hundred years occurs twice in one decade and four times in the next, you can be reasonably confident that you’re in a new climate era. It will undoubtedly take more time for scientists to determine to what extent the current famines in Africa and Yemen are mainly climate-change-induced and to what extent they are the product of political and military mayhem and disarray. But doesn’t this already offer us a sense of just what kind of world we are now entering? History and social science research indicate that, as environmental conditions deteriorate, people will naturally compete over access to vital materials and the opportunists in any society — warlords, militia leaders, demagogues, government officials, and the like — will exploit such clashes for their personal advantage. “The data suggests a definite link between food insecurity and conflict,” points out Ertharin Cousin, head of the U.N.’s World Food Program. “Climate is an added stress factor.” In this sense, the current famines in Nigeria, Somalia, South Sudan, and Yemen provide us with a perfect template for our future, one in which resource wars and climate mayhem team up as temperatures continue their steady rise. In some popular accounts of the future depredations of climate change, there is a tendency to suggest that its effects will be felt more or less democratically around the globe — that we will all suffer to some degree, if not equally, from the bad things that happen as temperatures rise. And it’s certainly true that everyone on this planet will feel the effects of global warming in some fashion, but don’t for a second imagine that the harshest effects will be distributed anything but deeply inequitably. It won’t even be a complicated equation. As with so much else, those at the bottom rungs of society — the poor, the marginalized, and those in countries already at or near the edge — will suffer so much more (and so much earlier) than those at the top and in the most developed, wealthiest countries. As a start, the geophysical dynamics of climate change dictate that, when it comes to soaring temperatures and reduced rainfall, the most severe effects are likely to be felt first and worst in the tropical and subtropical regions of Africa, the Middle East, South Asia, and Latin America — home to hundreds of millions of people who depend on rain-fed agriculture to sustain themselves and their families. Research conducted by scientists in New Zealand, Switzerland, and Great Britain found that the rise in the number of extremely hot days is already more intense in tropical latitudes and disproportionately affects poor farmers. Living at subsistence levels, such farmers and their communities are especially vulnerable to drought and desertification. In a future in which climate-change disasters are commonplace, they will undoubtedly be forced to choose ever more frequently between the unpalatable alternatives of starvation or flight. In other words, if you thought the global refugee crisis was bad today, just wait a few decades. The scientific literature on climate change indicates that the lives of the poor, the marginalized, and the oppressed will be the first to be turned upside down by the effects of global warming. “The socially and economically disadvantaged and the marginalized are disproportionately affected by the impacts of climate change and extreme events,” the IPCC indicated in 2014. “Vulnerability is often high among indigenous peoples, women, children, the elderly, and disabled people who experience multiple deprivations that inhibit them from managing daily risks and shocks.” It should go without saying that these are also the people least responsible for the greenhouse gas emissions that cause global warming in the first place (something no less true of the countries most of them live in). In this context, consider the moral consequences of inaction on climate change. Once it seemed that the process of global warming would occur slowly enough to allow societies to adapt to higher temperatures without excessive disruption, and that the entire human family would somehow make this transition more or less simultaneously. That now looks more and more like a fairy tale. Climate change is occurring far too swiftly for all human societies to adapt to it successfully. Only the richest are likely to succeed in even the most tenuous way. Unless colossal efforts are undertaken now to halt the emission of greenhouse gases, those living in less affluent societies can expect to suffer from extremes of flooding, drought, starvation, disease, and death in potentially staggering numbers. And you don’t need a Ph.D. in climatology to arrive at this conclusion either. The overwhelming majority of the world’s scientists agree that any increase in average world temperatures that exceeds 2 degrees Celsius (3.6 degrees Fahrenheit) above the pre-industrial era — some opt for a rise of no more than 1.5 degrees Celsius — will alter the global climate system drastically. In such a situation, a number of societies will simply disintegrate in the fashion of South Sudan today, producing staggering chaos and misery. So far, the world has heated up by at least one of those two degrees, and unless we stop burning fossil fuels in quantity soon, the 1.5 degree level will probably be reached in the not-too-distant future. Worse yet, on our present trajectory, it seems highly unlikely that the warming process will stop at 2 or even 3 degrees Celsius, meaning that later in this century many of the worst-case climate-change scenarios — the inundation of coastal cities, the desertification of vast interior regions, and the collapse of rain-fed agriculture in many areas — will become everyday reality. In other words, think of the developments in those three African lands and Yemen as previews of what far larger parts of our world could look like in another quarter-century or so: a world in which hundreds of millions of people are at risk of annihilation from disease or starvation, or are on the march or at sea, crossing borders, heading for the shantytowns of major cities, looking for refugee camps or other places where survival appears even minimally possible. If the world’s response to the current famine catastrophe and the escalating fears of refugees in wealthy countries are any indication, people will die in vast numbers without hope of help. In other words, failing to halt the advance of climate change — to the extent that halting it, at this point, remains within our power — means complicity with mass human annihilation. We know, or at this point should know, that such scenarios are already on the horizon. We still retain the power, if not to stop them, then to radically ameliorate what they will look like, so our failure to do all we can means that we become complicit in what — not to mince words — is clearly going to be a process of climate genocide. How can those of us in countries responsible for the majority of greenhouse gas emissions escape such a verdict? And if such a conclusion is indeed inescapable, then each of us must do whatever we can to reduce our individual, community, and institutional contributions to global warming. Even if we are already doing a lot — as many of us are — more is needed. Unfortunately, we Americans are living not only in a time of climate crisis, but in the era of President Trump, which means the federal government and its partners in the fossil fuel industry will be wielding their immense powers to obstruct all imaginable progress on limiting global warming. They will be the true perpetrators of climate genocide. As a result, the rest of us bear a moral responsibility not just to do what we can at the local level to slow the pace of climate change, but also to engage in political struggle to counteract or neutralize the acts of Trump and company. Only dramatic and concerted action on multiple fronts can prevent the human disasters now unfolding in Nigeria, Somalia, South Sudan, and Yemen from becoming the global norm. The world is facing an unprecedented crisis of resource depletion---a crisis that encompasses shortages of oil and coal, copper and cobalt, water and arable land. With all of the Earth's accessible areas already being exploited, the desperate hunt for supplies has now reached the final frontiers. 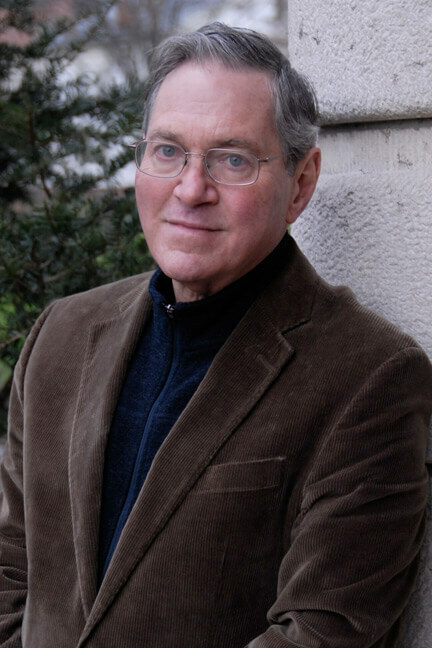 Michael Klare is the Five College Professor of Program in Peace and World Security Studies at Hampshire College in Amherst. Defense correspondent for The Nation and a contributing editor for Current History, he is the author of Resource Wars, Rogue States and Nuclear Outlaws, and Low Intensity Warfare. He lives in Northampton, Massachusetts.